Gang Of Poets Terrorize Grand River Region! Often the big city provides smaller communities with their unwanted guns and drugs. Now they're sending us poets. I have already alerted police that 8 Toronto and Montreal 'bards' are traveling around the Grand River. http://www.therecord.com/news/local/article/568533--poets-preparing-to-paddle-the-grand However, to avoid police roadblocks they have taken to canoe. Apparently the gang is calling themselves the, 'Fish Quill Poetry Boat' and they've threatened to read people their writings during their trouble making spree. If you're out hiking the Grand River area always be sure to travel in pairs. If you are unfortunate enough to encounter the poets the best course of action would be to close your eyes, sit down, and cover your ears while shouting, "No, no, no." Poets are attention seekers who constantly require praise for their recitings. It is hoped by all in the area that they will eventually tire themselves out and return to the hard streets of T.O. 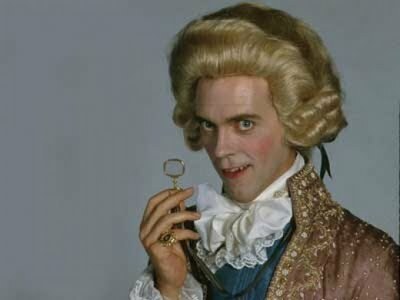 Picture of actor Hugh Laurie (House) dressed as a poet.